Where was Caesar Salad Dressing invented? Would you be surprised to find out that Caesar Salad is an Classic American dish? An Italian immigrant, Caesar Cardini, operated restaurants in San Diego and Tijuana came up with the recipe. It’s said that on July 4th, 1924 the kitchen ran out of supplies, and he came up with this salad, which was tossed by the chef at the table. Soon it became popular in Hollywood, and found its way to New York, and the rest is history. Whenever I think of Caesar Salad, I definitely don’t think of it as an American invention, but I suppose it’s not food that Julius Caesar ate, maybe I’m over thinking it! I love real garlicky Caesar Salad dressings, even to dip potato wedges as a dipping sauce, so good! We also use it to add extra zing to your sandwiches or your burgers instead of mayo. There are lots of ways to eat Caesar Salad dressing. Does Caesar Salad Dressing have raw eggs in it? Yes OR No! When making this Caesar Salad Dressing Recipe, usually I use raw eggs, even though there can be health concerns about using raw eggs. If you have concerns, then make coddled eggs which quickly cooks out any bacteria. Bring a pot of water near a boil, and drop whole room temperature eggs into the water and let it sit covered, off the heat for 2 minutes. Remove into ice water to cool, as you don’t want cooked eggs, and crack and separate yolks and set aside to use in your recipe. Just in case, coddle an extra egg, if anything happens during your yolk separating, you won’t get behind. I was taught this Caesar Dressing recipe from a chef at I restaurant I worked at about 20 years ago. That feels so long ago, but this recipe is a timeless classic. I believe that if you are making a homemade salad dressing, you should enough to last for several meals. Who wants to go through this effort every single time? The other recipe I love making in a larger batch is my Creamy Blue Cheese Dressing, homemade dressing are so tasty! 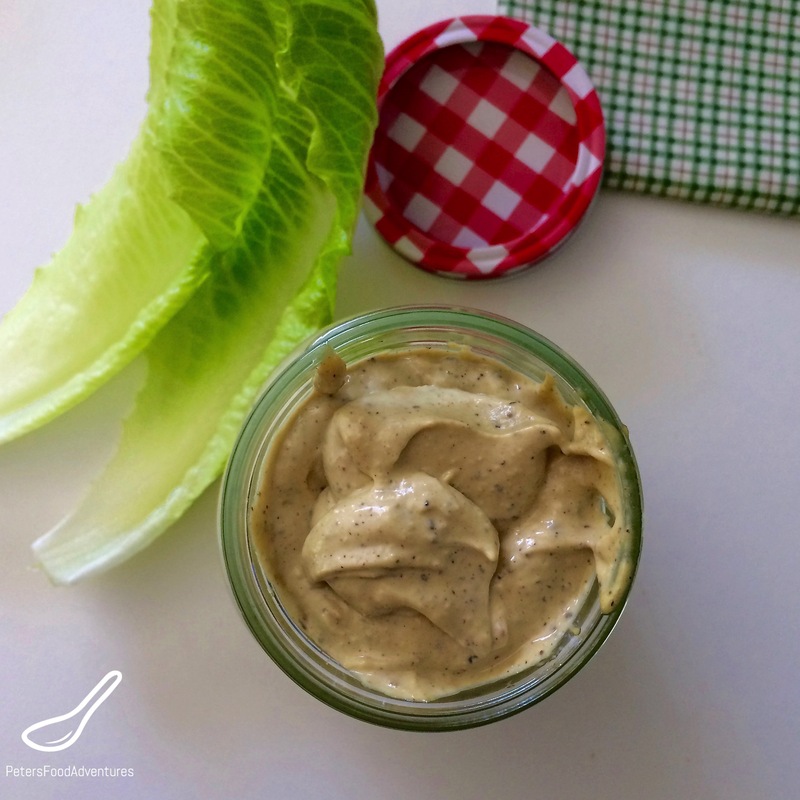 This Caesar Salad Dressing Recipe makes just over 3 cups, give you plenty of opportunity to gorge on this amazing salad, or use it as a dip! Bon Appetit! Приятного аппетита! Homemade Caesar Salad Dressing Recipe is so easy to make with fresh garlic, anchovies, dijon, eggs, olive oil and more. Perfect for a Caesar Salad or a Vegetable Dip. A Little Goes A Long Way. *NOTE: Raw eggs shouldn't be used for pregnant women babies, young children or if your health/immune system is compromised. Using a blender or food processor, blend all ingredients together, except the Olive Oil. Pour Olive Oil in a slow steady stream while blending until an emulsion forms. It will quickly thicken, slowly pulse if necessary. Keep refrigerated. Should last about 2 weeks in the fridge. Looks great! Will try this during the Thanksgiving break! Thanks! Make a Turkey Caesar Salad with the leftovers! ??? ?